Moustafa Ardati (Moustie), 32 years old, was born with Cerebral Palsy. Cerebral Palsy is quite challenging. For the first twenty-five years of my life, I have been dependant on others; as I start my day, throughout the day and as the day meets its’ end. I watched others complain about the little amount of independence they had; while I hadn’t any. Alhamdulilah (thank god), due to the last seven years of training, my life has changed drastically, despite being told it wasn’t possible, for the first time in my life; I am able to do the things that most people take for granted: Eating and drinking independently, walking with support, gaining use of my right arm. My speech has improved visibly. I am now speaking a lot more clearly, confidently and without hesitation. Over the past few years, I have improved over 500% and continue to improve on a daily basis. Exercising has improved my quality of life. I had the privilege to represent my country – Australia in 2014 for wheelchair soccer (Brazil) and hockey (Germany). I am now able to enjoy my hobbies, focus on work and concentrate on my future endeavours. 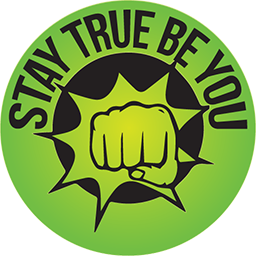 I.e., Pursuing, my life-long dream of inspiring, motivating and making a difference in people's lives through my Stay True Be You business/message. Striving towards my goal of independence and walking one day has financially come at a cost and has been difficult to keep up with. All contributions will be utilised to help further my progress through custom exercise equipment such as hooks and wrist straps as I physically can't rely on my grip. Additionally, your contribution will be helping me with my weekly costs associated with training and recovery. Every little amount makes a world of a difference...Thank you kindly for your support, it's very much appreciated!